Home » national news » Pathankot attacks the latest in a series of low-intensity terror incidents, what is going on? 1) On 27 July, three terrorists were killed after they stormed into a police station in Gurdaspur district. A senior police officer, two home guards and three civilians were also killed in the attack. 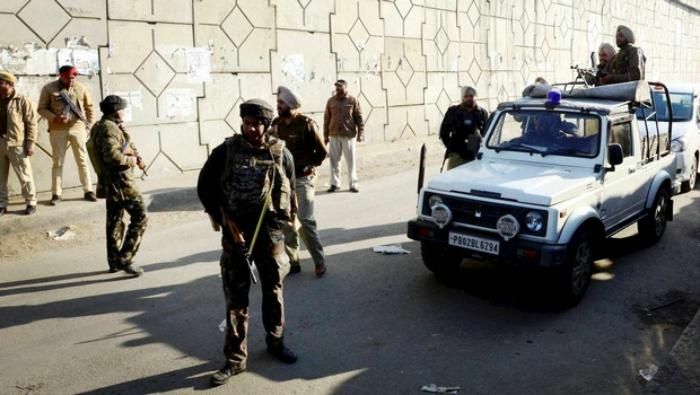 Investigation revealed that terrorists had crossed into India along the Pathankot-Gurdaspur border. 2) On 4 September, all trains on the Pathankot-Amristar route were halted after a false tip-off about a bomb on the track. According to reports, police had been receiving at least two calls every day since the 27 July attack. 3) On 12 August, an employee at the Maharana Pratap Senior Secondary school in Pathankot town raised an alarm when she claimed that two Army-uniform clad persons jumped over the fence to enter the school premises. The two reportedly fled after they spotted the school guard. Schools in the area were shut down and roads were monitored following the alert. 4) In May, a white pigeon caused quite the flutter after it was captured by Punjab police in Pathankot, who claimed that the pigeon was being used by Pakistan to spy on India. According to a report by Hindustan Times, the National Highway 44 runs almost parallel to the India-Pakistan border, making it "easily accessible for terrorists to launch cross border strikes and escape to Pakistan".